Durban has the biggest annual film festival in Africa, the Durban International Film Festival. Cape Town has the Cape Winelands Film Festival. You would think that in the bustling metropolis of the largest city in South Africa, Johannesburg, there would not only be an established film festival, but maybe three or four with varying genres, themes and nationalities. 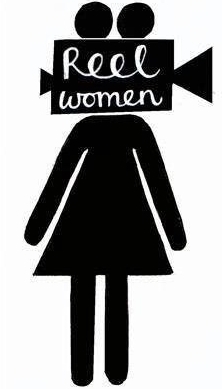 This is not the case however. Despite the fact that Johannesburg is thriving with various film activities, schools, clubs, studios and many cinema complexes, it was only in February 2012 that the first Jozi Film Festival was inaugurated. Supported and hosted – also surprisingly – by Johannesburg’s only independent cinema, The Bioscope (a rare jewel within the city – the only the cinema to support South African cinema), the 1st Jozi Film Festival slipped easily into the province of Gauteng’s many annual events, as if it had always been there. Now only a year later, as the second edition draws to a close, the festival feels fully established as the city’s premiere film event. Judging from the quality of the films in the programme, long may it last. Running over three days, with a great selection of South African feature films, documentaries and shorts programmes, with an adequate sprinkling of international cinema, this really is the answer to film fans who are looking for more than what the Joburg cinema chains have to offer. The festival has already grown in 2013 and launched two new venues that add to those screenings as The Bioscope: a free, outdoor screening in Kliptown, in Soweto and also the beautiful setting of Villa Arcadia, a mansion in Parktown dating back to the 1890s. This shows how the festival is spreading into the sprawl of the city, as any festival should, making itself available to the residents. Who knows where the screenings will take place next year? The possibilities are certainly endless, and open for creativity in such a city. In various press releases, the Jozi Film Festival promises not to be the Cannes film festival of South Africa but has the aim of keeping a focus on the city itself. This is apparent not only in the content of the films – the setting and stories of the inhabitants, although that is a large part – but also to give a voice to the talent within the city. The programme therefore boasts a selection of student films as well as a mobile phone film competition – awarding a prize to the best mobile telephone-made film about Johannesburg. Indeed, to its credit, there is no glitz and glammer attempted; more an enthusiastic and addictive buzz around the festival; a down to earth, gritty feel, much like the city itself. 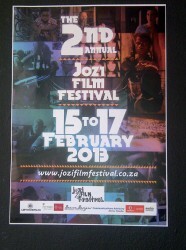 This is a festival for people who not only love film, but love South African film. The opening night film is evidence of this. FANIE FOURIE’S LOBOLA tells the story of down-and-out Fanie, an Afrikaans man who lives in his mother’s garage and can’t even get a date to his brother’s wedding. Then he meets and falls in love with dynamic, lively Dinky, a Zulu girl. By playing with the stereotype of the two South African cultures, and turning it on its head with hilarious effect and some crowd-pleasing moments, the film also bravely explores what it means to be an interracial and intercultural couple in the new South Africa. The film is set in and around Gauteng, and boasts the province’s many beauties; one of the main themes is the jacaranda tree, for which the area is known. This was just the beginning of three days of extraordinary films, which will surely find their way into the African film festivals of Europe later this year. May this also mark the start of many years and many great films, events and experiences for the people of Johannesburg, who didn’t know what they were missing until the Jozi Film Festival began. 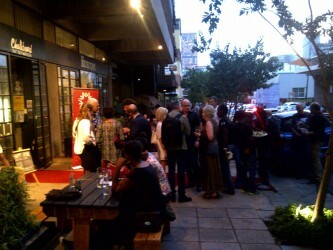 For more information about the Jozi Film Festival visit www.jozifilmfestival.co.za and The Bioscope, www.thebioscope.co.za.